People love visuals. It’s not a secret. The idea that a picture is worth more than a thousand words has been an adage for as long as I can remember. And, despite how much has changed in marketing over the past decade, that simple truth remains. As a result, it’s no surprise that we’re seeing more and more people embrace the idea of visual content. 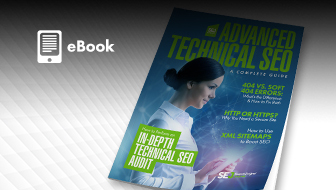 Studies are showing just how important this format is for our content campaigns. 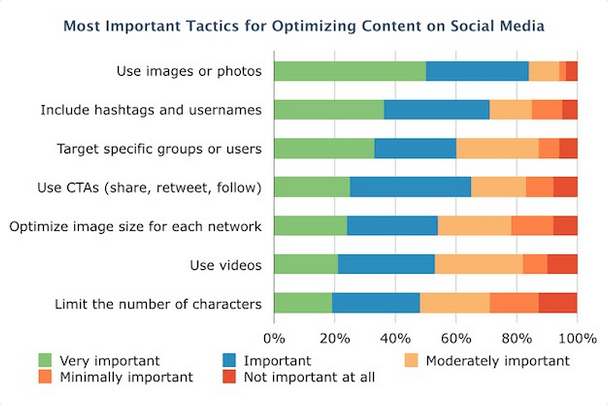 Incorporating images is the #1 tactic marketers rate as important when optimizing a social media post. 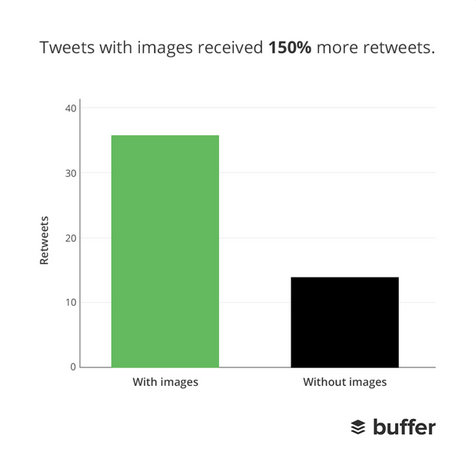 Tweets with images receive 18% more clicks, 89% more favorites, and 150% more retweets than those without them. 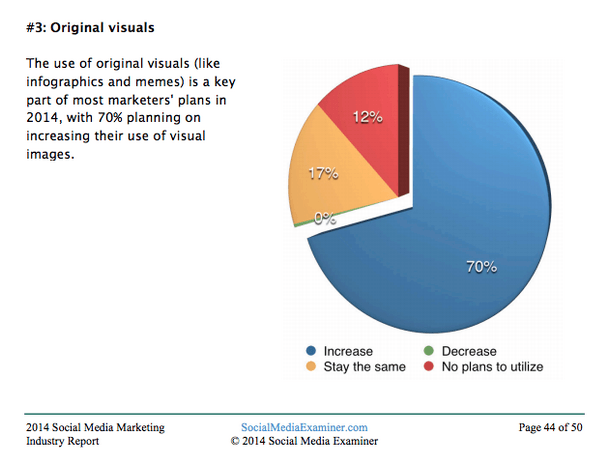 But despite all these facts, studies and statistics, many people still aren’t incorporating visuals effectively. If I had to guess, I’d say the reason for this is that many entrepreneurs and business owners just don’t feel capable of doing so. Well, you’re in luck – I’ve got some great news for you. You’re more than capable. For every statistic that tells you visuals are important, there’s a tool to help you live up to those expectations. You don’t need to have an immaculate eye for design to create visuals that engage and convert. 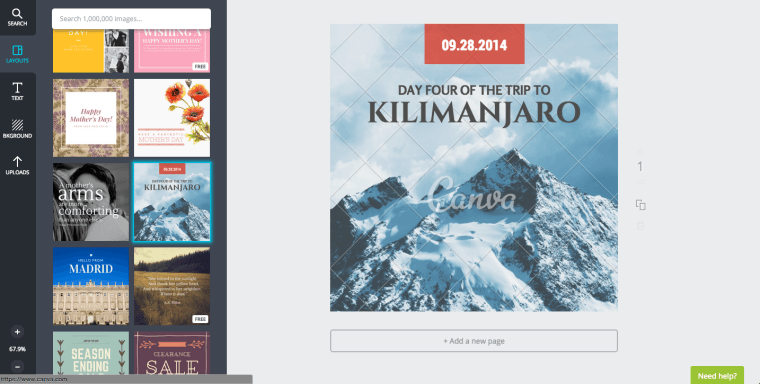 Canva is a start-to-finish program that’s perfect for non-designers. 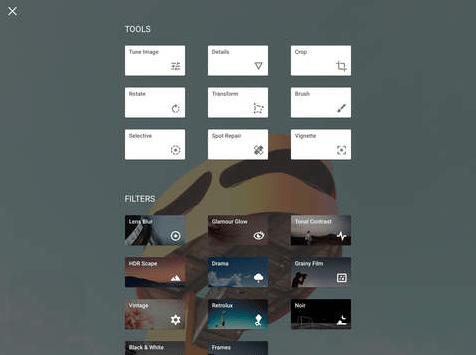 It has tons of templates and tools to help you get the perfect image in just a few minutes. 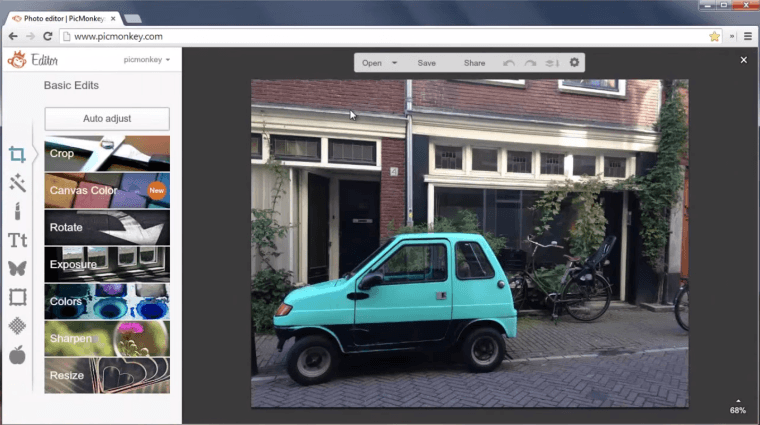 Buffer’s tool, Pablo, makes designing great social images easier than ever. Their site claims you can do it in under 30 seconds. Go give it a try, and see if the company’s claims are true. If you need to annotate screen grabs for a data-packed post, you’ve got to try out Skitch. Circle things, point to things, blur things and add text quickly and easily. If I had a nickel for every screenshot I took, I wouldn’t need my day job. 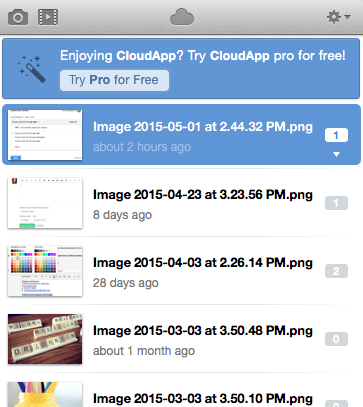 And CloudApp makes uploading those screen grabs to my team and my articles a simple process. 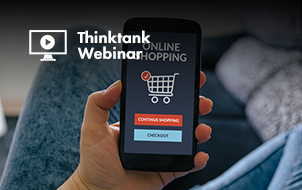 Don’t spend so much time looking for sophisticated products that you forget about the solutions you already have. 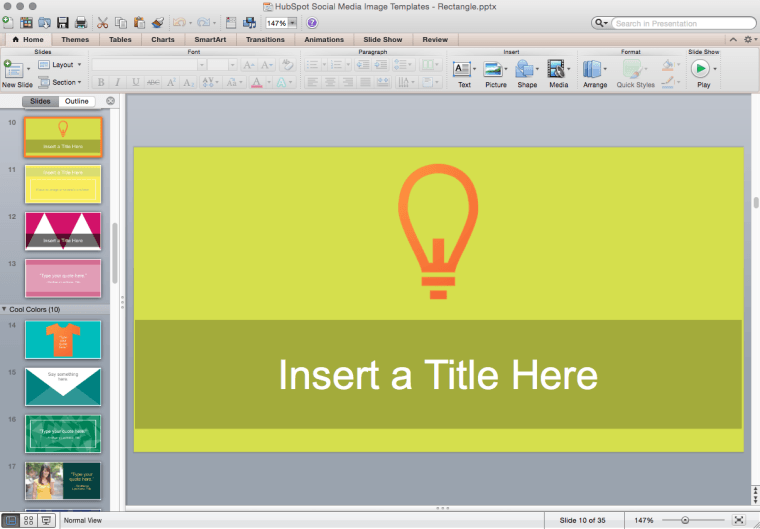 You can make great images using PowerPoint (or Keynote if you use Mac). In fact, Hubspot created 60 customizable templates that can help get you started. 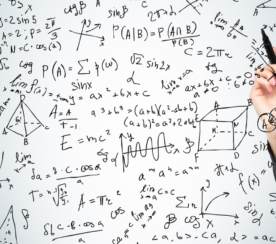 You can spend thousands of dollars on a great infographic design. And I believe it’s well worth the money. But if you don’t have that kind of budget, give Ease.ly a try. The Social Image Resizer Tool helps you get the perfect crop for your image. 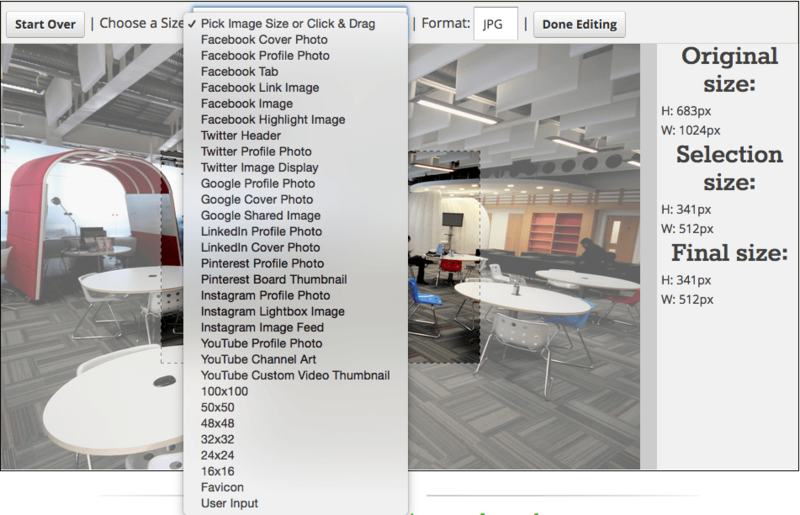 It even gives you helpful ratios for the different sizes and layouts you may need for your content campaigns. 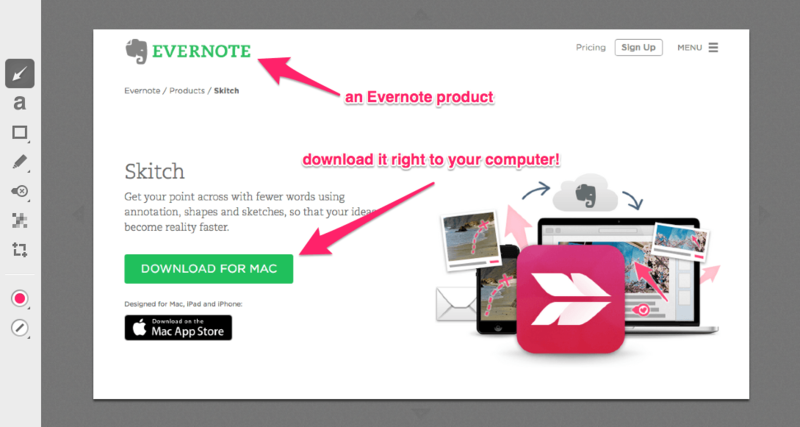 Ever wish you could take a screenshot of an entire web page – but your screen wasn’t long enough to make it happen? I’ve found that people respond really well to quote images on social media. It’s no wonder they’re so popular! Word Swag makes it incredibly easy to create professional-looking images that you can share with your audience. 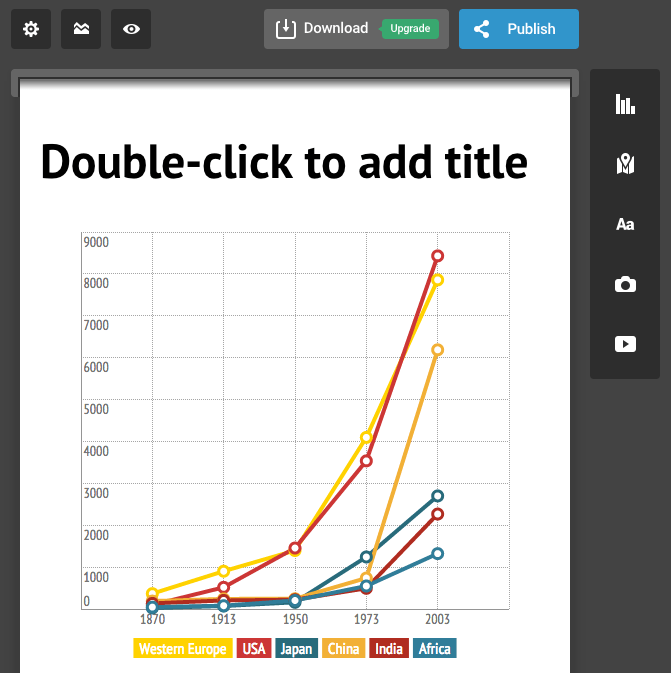 If you want to share data in a content campaign, then you’ll need a way to show it visually. And that’s exactly what Infogr.am helps you accomplish. 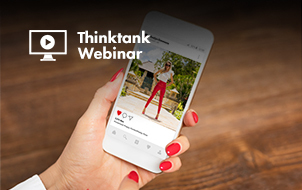 Sometimes, great additions to content campaigns happen on the go. That’s why you need a powerful image editor like Snapseed. 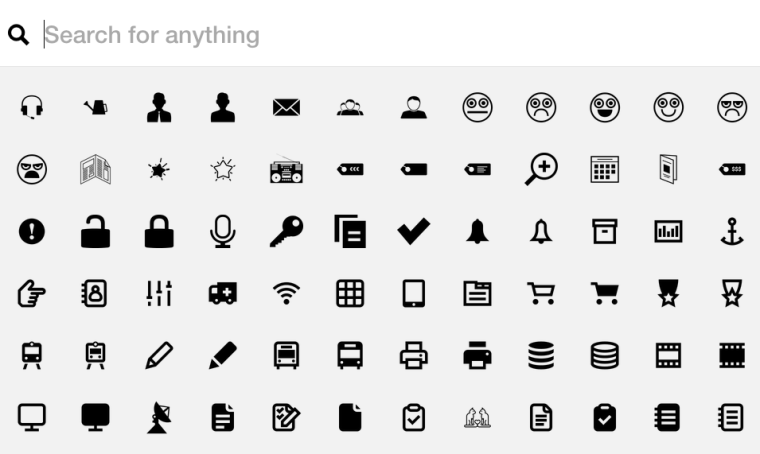 Every great web design project needs great icons. Iconfinder offers both free and paid icon packs to give your project the exact icons it needs. The company just hit 500,000 icon options, so you’re sure to find something that you’ll love! 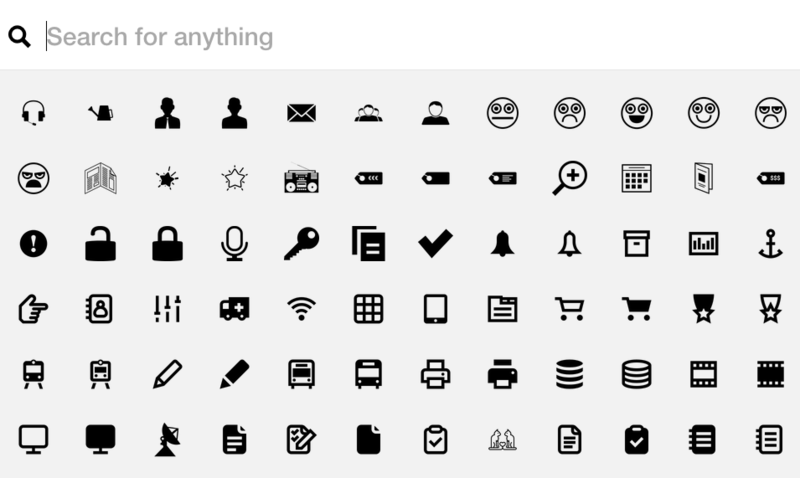 The Noun Project is another great source for beautiful icons. They’ve got a huge repository of images that represents an incredible number of words in the English language. Blurgrounds come in a variety of options. 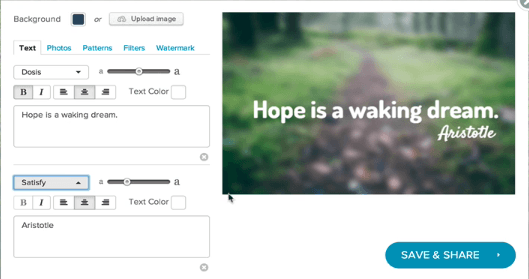 These blurred background images are a great option for website backgrounds, blog headers, or social media images. 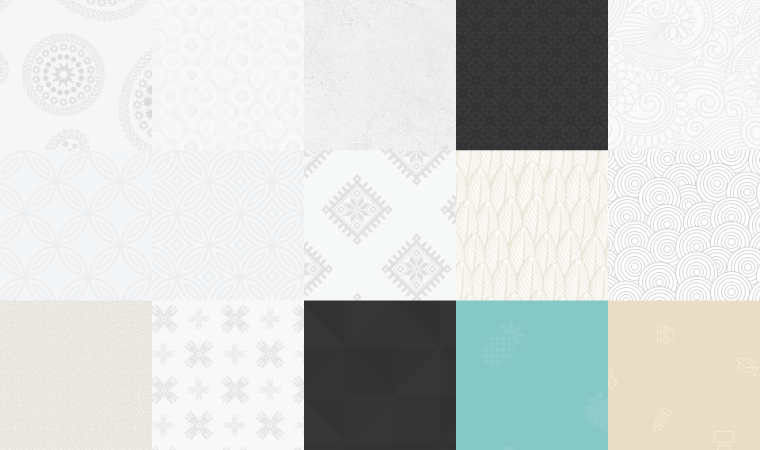 Subtle Patterns are perfect for when you need backgrounds that are a little more, well, subtle. With 400 pattern options to choose from, the site is a great resource for your content campaign. I don’t think you can find many things that are more satisfying than an amazing color palette – and it seems that Pictaculous would agree with me. 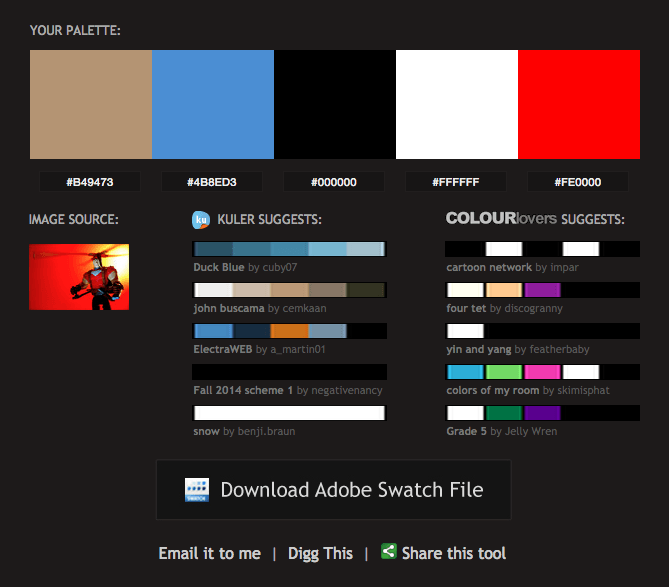 The company has built a tool that creates a color palette for you, based off of any image you upload. It’s perfect for getting the colors just right during your next campaign. 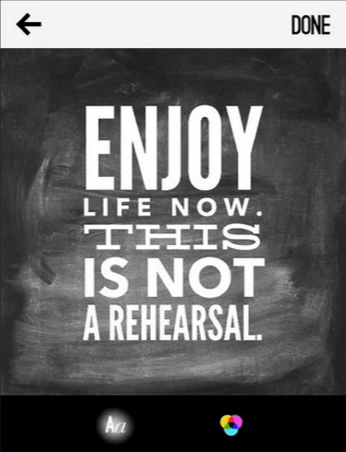 If that doesn’t turn you into a believer, go watch the promo video on their homepage. Yes, it’s as easy as it looks. 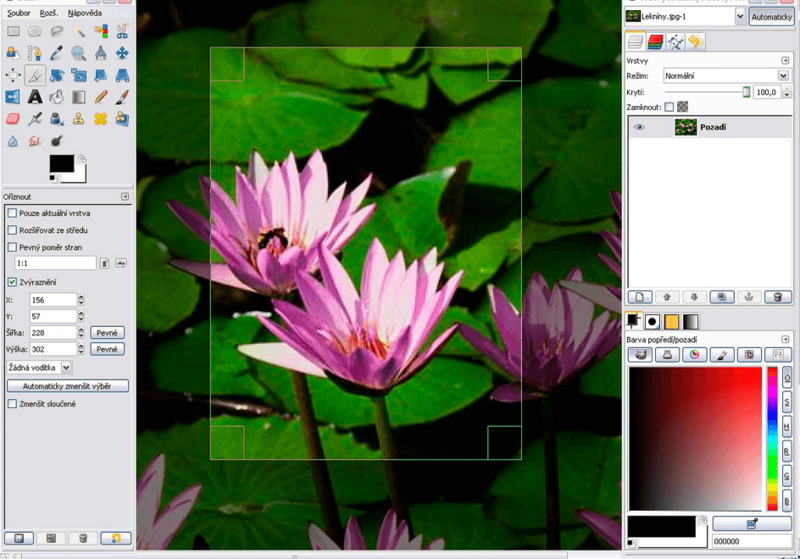 Gimp is basically the free version of Photoshop. Now, don’t get me wrong, there’s certainly more that Photoshop offers. 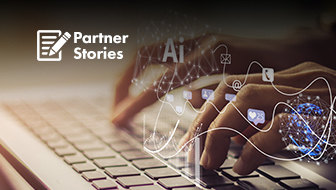 But for the basic designs that you’ll make for content campaigns, Gimp can get the job done if you don’t want to shell out thousands for some software. Picmonkey has plenty of features, from tools that’ll cover your basic photo editing needs to options for building social media graphics. Basically, if you need something simple that will get the job done, then this is the tool for you. 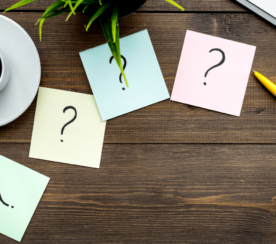 Have you ever seen those word clouds and thought that they’d be really helpful in your content marketing efforts? Well, Tagul can help you put them together without the hours of work it’d take to design them from scratch. 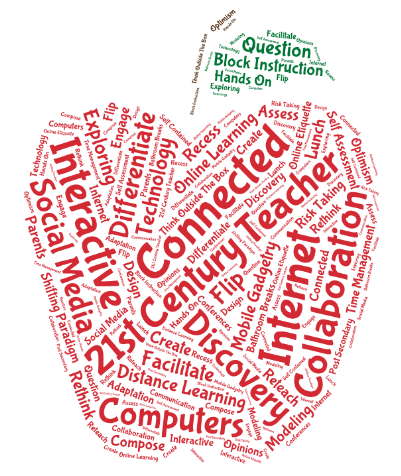 Although there are plenty of other word cloud apps on the market, I’ve found that this is one of the most comprehensive. 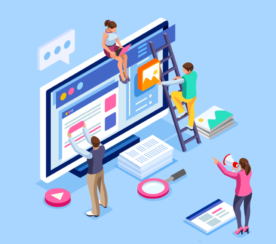 Whether you’re designing a microsite or a new landing page, your content efforts need a good looking button. And if you’re not much of a designer, let the CSS Button Generator do all the hard work for you. 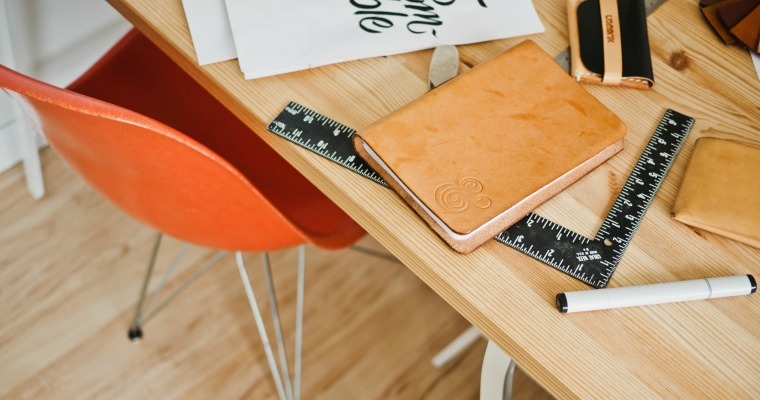 There you have it – 25 great design resources that you can use for your content campaigns. Do you have any others that you’d like to add to the list? Leave me a comment below with your recommendations!